Brought to you by the FrameThemes, Screenr is a bold and stylish WordPress theme that is suitable for almost any type of site that appreciates a good design. The flexible header and navigation add to the advanced feel of this theme. The full screen and One-page layout of this design are great for any type of business, corporate, portfolio, as well as freelancers based websites. 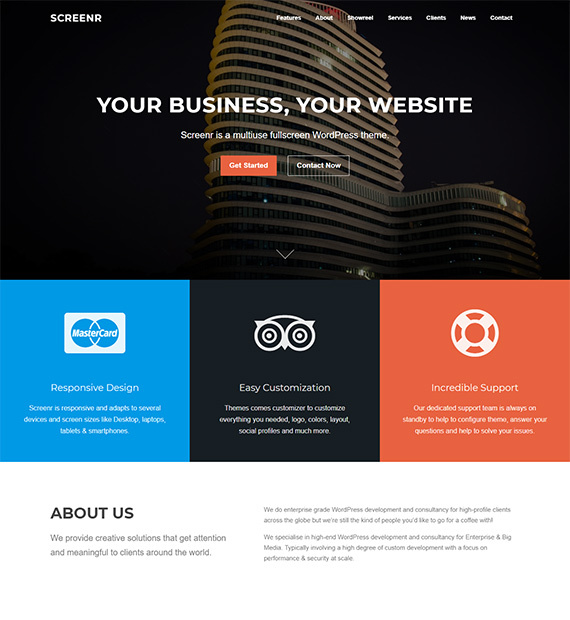 The responsive and retina ready layout makes your site look stunning no matter what.